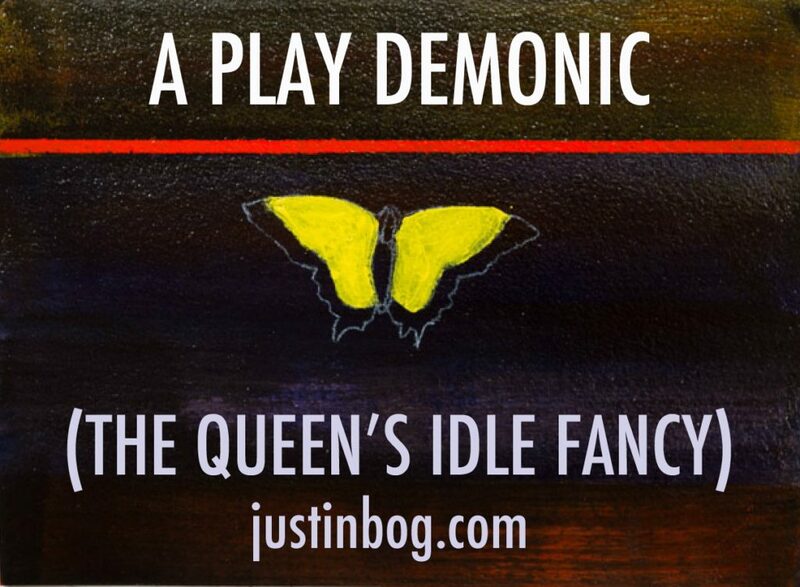 Another new addition to the ongoing serial tale, A Play Demonic (The Queen’s Idle Fancy). I still love the dark meandering story of these doomed thespians on Fidalgo Island. The last we heard from the troop the two main divas vying for the plum role of Queen Stormag had begun their audition on the Winter Solstice. In a cliffside cave, of sorts, near midnight, Kate Denisov has only begun to recite her lines when Leonora turns the tables. 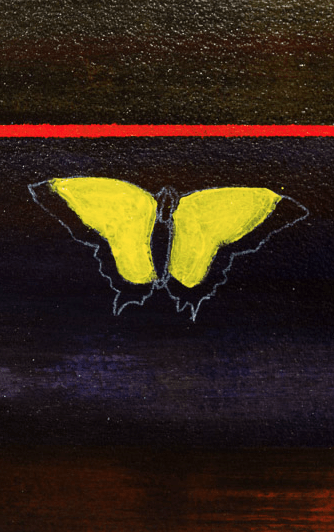 Above them, a yellow butterfly is captured by something unknown, unseeable, and with a purpose all his own. If you would like to read the beginning of this dark tale, please click HERE to read Part 1. To refresh your memory from the last installment, please click HERE to read Part 30! 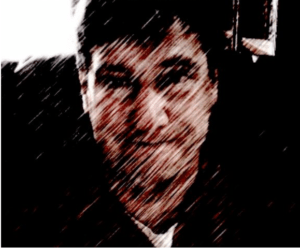 Please enjoy and know that I welcome any comments from you. Who do you hope wins the coveted role of The Queen? “You deceitful creature, your wanton ways will be your undoing,” Leonora said, stage-whispering this venom as she gathered strength from the pit below her sternum where the greatest of thespians had taught her how to center her being, calm her breathing, on any stage. “To me, my Aquivera handmaidens. Do my bidding and no one else’s, especially not this false slag, one so burnt by the fires of hell, corrupted by bitter flames.” A trace of fear furrowed Kate’s brow. Yes. Frenalto circled the actresses, stepping lightly, bouncing near the cliff’s edge as if infused with a jester’s spirit. The observer above them captured the yellow butterfly and the color drained from its wings, powder flecking into the mist and vanishing. He could remain there without detection for eons, out of time, a step removed from the slipstream. This gift a blessing and a curse, he didn’t wish to test it so close to Waltzcrop. He wasn’t a ghost, death another want, if not his need. He’d also been called here, that caller unknown. It took all of his considerable power to keep the butterfly in his curled fingers, a cage, and he’d spent most of it just reaching the island and sealing the waters within his protective shield. Waltzcrop and any other with a tenth of his skill and cunning would know they were trapped here. Earlier on this same December day, this same man with filthy hands swinging by his sides, walked along Highway 20, head up, face covered by windswept dust and grime. In the gray drizzle the people passing in their cars barely registered his presence. They’re in such a hurry. Those who saw him, those in tune to intuition, noticed his steady pace, and one passenger remarked on the light rain jacket, thought him a fool for being out in such a freezing gale, his startlingly dirty face with a light beard stubble, and the driver said, “I didn’t see him.” The mundane could see him, but he vanished within the ether, flickering, gone, present, there, not there, and they shivered, mentally, and continued to concentrate on their driving—forgetting him the next split second. The disparate men and women who walked this road left I-5 at mile marker 230, still a few dozen miles south of the Canadian border. Most walkers, like poor Petey Pete before him, were let loose from the county jail where it sits close to the highway exchange. No room at the inn: Get Lost! Fix your problems yourselves or we’ll send you to the next level of incarceration. A promise un-kept most of the time, an idle threat. There’s no scared straight program for the addicted, no help or rehab units; they slept in quivering masses behind bars, on the floor until morning—the heroin, meth, and alcohol addicts picked up the night before for disrupting the peace, vandalism, acting strange, domestically violent, some for being unhinged in public spaces, dangerous to themselves and especially dangerous to the police force wrangling them to the ground and into the back of their police cars. There’s never enough room to keep most of them so they charge them, offer to clean them up (most refusing), and let them sleep it off, set them free in the morning. They made the crawling, perp-walk back to the island. Don’t you dare pick them up if you see them walking the roadside smiling grins filled with graying teeth, or you’ll become another statistic in the weekly’s police blotter. Most of them don’t hitchhike. They look like they’d split you in two for a buck, coming down from last night’s high, comfortably ravaged by substance abuse. They crawled back to their rent-is-due-last-week apartments, family bedrooms (where mom and dad took them in until the last straw is drawn—blood thicker than water), and their half-functioning cars turned into sleeping bags after licenses suspended. The man whistled, happily, as he walked for no one but himself and the call he’d never fail to respond to, an ephemeral beacon striking his core. He wasn’t let loose by any jailer. No manmade prison could hold him. He wasn’t cold and it would take an arctic wind to do much more than discomfort him. He walked a long ways to get to this destination and nothing would stop his steady progress. A huge semi, working madly these days before Christmas, sprayed an arc of muddy filth and it soaked the man’s black work boots. The twin bridges came into view in the distance miles away, rising white and gray in the gloom, and the man smiled—he’d been here before, decades, centuries ago. If the drivers could see his malicious smile, they’d shiver and then call their loved ones at the soonest opportunity to tell them what they believe evil is: it is there on his face—and they’d be wrong—his malicious smile was a good thing; it set him on the best path. The worst possible thing, plain as day, cross your heart, for all to see, rested lightly across the man’s features, there, underneath the filth, you can see the white of his eyes surrounding the dark, golden-tinged brown to black of his irises—vengeance. It is all about intentions at this point, how far the man would go, and what set him on his journey to begin with. You know psychotic when you see it, even before it’s finally revealed, and the good could fall from sanity as well as the bad over time. No one stopped. The man walked, his boots becoming soaked. He felt nothing. There was a time he wore nothing, bits of wild animals, skins—a different age. The bridge would bear his weight and everything he carried with him. The man thought about the future and almost leapt into the air. He’d waited so long. By the time the bridge neared, the steady rain had washed most of the grime from his face. It’s a dark morning with more darkness to come on this solstice. More people left the island, driving to the malls for returns, maybe catching the newest science fiction spectacle down in Seattle at the IMAX Pacific Science Theater if lucky enough to get their tickets online. No one else felt the need to leave the island. The man muttered Jimmy Cracked Corn and I Don’t Care, emphasizing the last three words, repeating the old lyrics on his careful journey to the center of the bridge, a graceful arc, high white concrete pillars towering above Puget Sound. Driving over this tall bridge gave the most paranoid of us the feeling of loading energy on the first hill of a rickety rollercoaster until you reached the apex and started racing down the other side of the bridge in a sped-up whoosh. The increase in speeders noticed by the inevitable police car poised on the other side of the bridge; they loved this speed trap, easy pickings, easy money for the struggling city coffers—stop anyone now, more tickets, we need ‘em. When windy you really felt pushed by the Pacific Northwest gusts on this bridge and you always wondered what would happen if the wind just picked you right up, car like a kid’s Matchbox, and blasted you over and out and down into chilly Puget Sound. And you’d think of your final scream smothering a final dismal thought. The wandering man reached the center of the bridge and silenced his whistled song, a shadow too dark to be seen now. The man retrieved black stones out of both front pockets of his lightweight jacket. They weren’t even the size of golf balls, but almost, not round, flat. His hands were beyond wrinkled, a dried up desert of skin, and the black stones felt smooth, a deep volcanic black, and just as old. His fingernails looked sharp though, and anyone who really saw the man and had time to notice his hands would think the man had claws for fingernails. Children ran from chilled shadows after retrieving wayward playground balls, after seeing him, when he allowed this, for kicks, and sometimes the man set the children’s shadows after them, scaring them into their parents’ arms, braying in unreasonable hysterics, pursued by ethereal darkness, dissipating after a hard night of worry and fear and wondering if they needed to take their clutching brood to get checked by a professional: I don’t know, Doctor, he just won’t stop crying. The man’s fingernails scored the surface of the eight black stones, and then pricked dark pits in each of them, the flat side ripe for skipping across water. The man took the first stone and gazed out at the Sound, the water churning in the early tide pull, the Northern Lights Casino waiting for the post-Christmas crowd to fill their machines in but a few more days (the man hesitated as he stared at the casino and tried to remember the tribe that used to be here on the land before the casino was built) and then he glanced at the oil refinery in front of him that rested across the water, part of the island, along a bend of curving water, a narrow cutting through the land forming Fidalgo Island. The man released the first black stone. It soared out and over the water, skipping, skipping on a path across the dark blue surface beside the rocky shoreline until bouncing out of sight. He took the next two stones and dropped them straight down into the water under the bridge, a bubble burped its way up, and then another, slowly, a minute later, followed—burp, burp—three more. The next stone he hurled like a shot put and it sliced away in an arc around the island to the left. Another to the right, and these formed a divot in the surf that wouldn’t fill. You could see the trench of air across the water. Right there and moving quickly left to right, beginning a journey around the island where they’d meet half an hour later to form a barrier. The last three stones he returned to his inner jacket pocket. His satisfied smile would make a nice snapshot in a psychiatrist’s office. What do you see? A crimson slash across a pale face. The water beneath the bridge bubbled and burped more and more, frothing. The man continued his walk along the bridge, his song a bit perkier, satisfied by thoughts of what lay ahead: who he was to meet and whom he was to meet again. They’re all locked in together, this man thought at the exact moment he spotted a yellow butterfly many yards ahead, the unmistakable ease of flight, the touchstone, powder dry thread-thin wings safe in the downpour, and he followed this winged creature, a dog to a squirrel. To read Part 32 of A Play Demonic (The Queen’s Idle Fancy), simply click HERE! That’s it for this chapter. A mystery deepens. Who is this new player on the island. For every evil force, there is another in line to combat that drive, seeking balance in an unbalanced world. Best wishes on your own battlefield.